What label is the only label on the BILLBOARD JAZZ CHART with 3 entries on the chart printing 5/21/11? It's the same label that was one of only 2 labels (the other being Blue Note) that had 2 entries on the chart printing 5/14/11. Namely, Basin Street Records!!! Plus, the HBO Treme soundtrack is #6 and both Kermit and Rebirth appear on that record. UPDATE: For the 3rd week in a row, Basin Street Records has the most projects on the Billboard Jazz chart (printing 5/28/11). 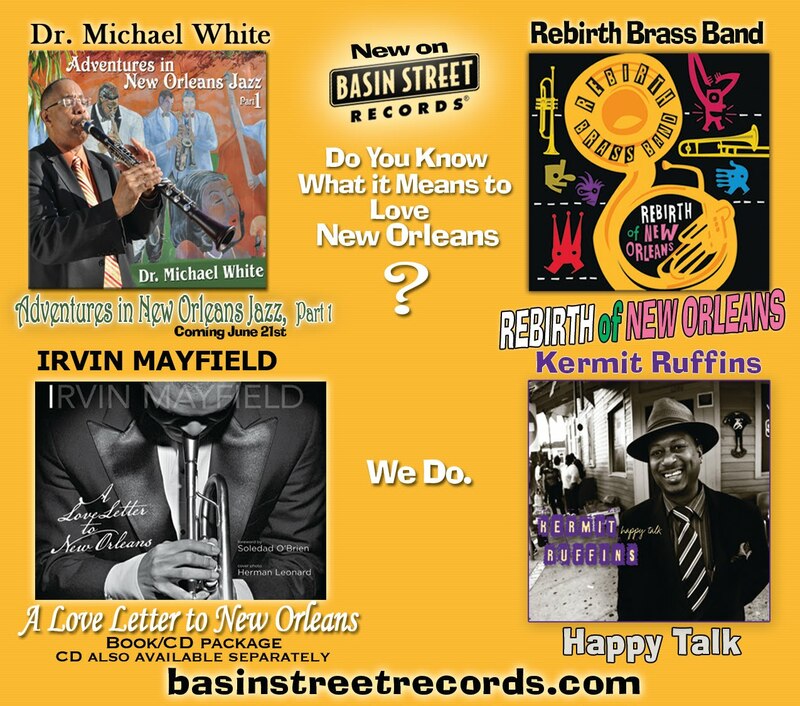 #9 Rebirth Brass Band's Rebirth of New Orleans; #14 Irvin Mayfield's Love Letter to New Orleans; and #18 Kermit Ruffins' Happy Talk; plus the Treme soundtrack (which includes Kermit & Rebirth tunes) moves to #5. Own them? 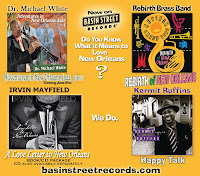 Mark Samuels, President of Basin Street Records, on Real New Orleans TV Show. and you will receive an email with link to 8 CD quality tracks perfect for Carnival. 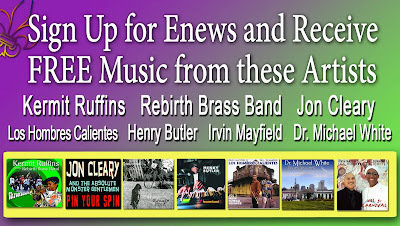 Do you own these must have CDs for Mardi Gras? GOING TO BE IN NEW ORLEANS FOR MARDI GRAS?